GaAs is the highest performance solar material currently available, boasting conversion efficiencies in excess of 40%, nearly double those of crystalline silicon. This means that it can produce nearly twice as much power in a given surface area. 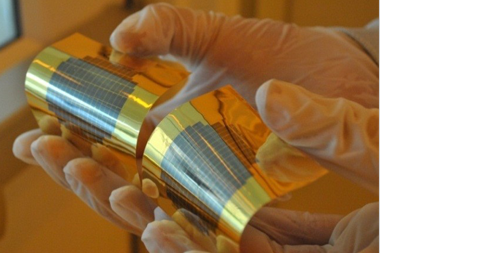 However, high fabrication costs have made GaAs-based solar cells prohibitively expensive for mass markets and have limited adoption to specialty applications such as satellites and military. NanoFlex has developed a proprietary architecture and fabrication process that unlocks the value of GaAs within the solar market. NanoFlex's GaAs technologies enable fabrication of the highest performance solar cells at a fraction of current costs. 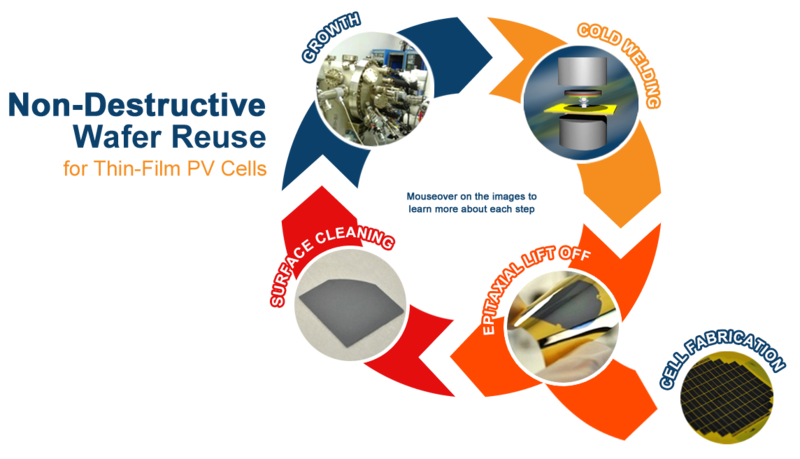 Our fabrication process dramatically reduces the production cost of GaAs solar cells by enabling the most expensive component of the manufacturing process, the GaAs parent growth wafer, to be reused multiple times rather than being discarded after only a few uses. Most importantly, we have demonstrated that the GaAs cells produced from subsequent cycles maintain the same ultra-high performance characteristics as those from the initial cycle. Our process also enables ultra-high performance GaAs solar materials to be available on flexible and lightweight thin-film materials for use in a much wider variety of applications. With the combination of GaAs's high conversion efficiencies and the dramatic cost reductions associated with utilizing our proprietary process, we believe that GaAs can become much more cost effective for specialty applications, but also an exciting solution for the broad-based solar markets. Welcome back to planet earth, GaAs!